Let us start by the forecast first. 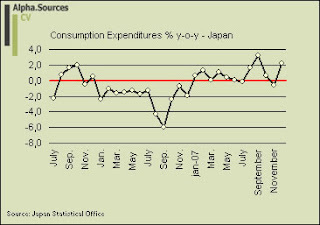 As can be observed the Japanese consumers put in a strong showing in December on a y-o-y basis with a 2.2% increase. I have to say that this figure represents something of a fluke for me since if you look at the underlying indicators such as income, retail sales and department store sales they all clocked in with declines. Ken Worsley also ponders the 2.2% increase and provides a detailed break-down which shows how spending on culture and recreation as well as furniture and household utensils accounted for a substantial part of the increase. I have to agree with Worsley though when it comes to January and beyond where the rise in energy prices, declining income, and a general slumping confidence will be sure to slow spending considerably. As for the forecast, the December reading almost had my forecast shattered or, if you will, assured that I was very close to the mark. 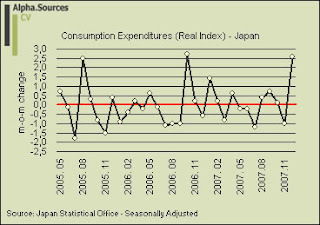 Consequently, the mean value of the increase in consumption expenditures was a 0.95% monthly y-o-y growth rate. The two remaining charts are merely there for differentiation. 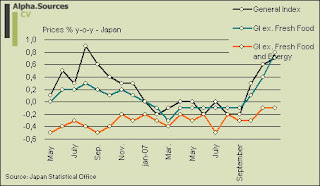 The average value for the m-o-m chart was 0.217% in 2007 and together with the y-o-y figure it shows the momentum and level of growth rates we can expect from Japanese internal demand in a given economic environment. 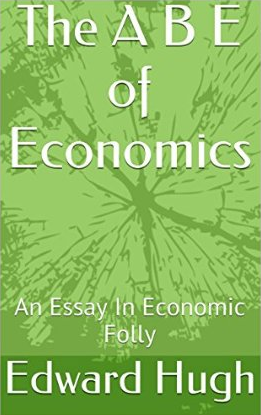 The long term index anchors my analysis in the sense that it supports the general hypothesis that domestic demand is on a structural decline in Japan and that this might very well be due to the demographic profile of Japan, this last point of course being a hypothesis of mine. In terms of forecasts for 2008 I have no trouble extending my forecast of an increase of <1% in domestic demand proxied by consumption expenditures (i.e. 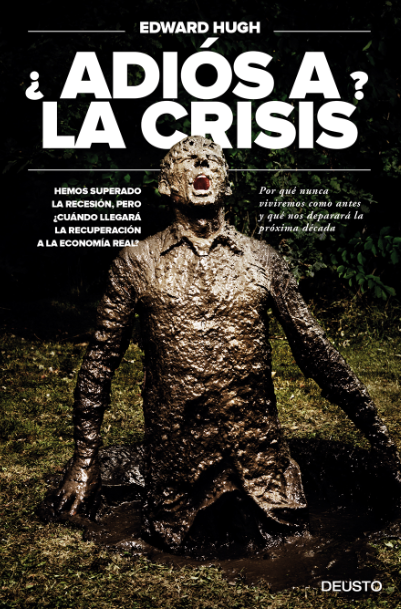 a strict consumption definition of internal demand dynamics). 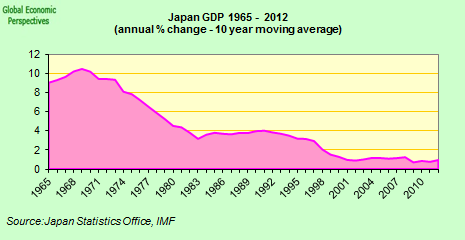 This may even seem too easy as 2008 is set to become a somewhat tough year for Japan economically speaking. This was thus it for Japan in 2007 and as is readily clear 2008 promises to bring with it a rather choppy ride for Japan. I will of course continue with my analysis as we move forward. Before I finish I want to make a leap up towards current events and assess a couple of mounting issues in the context of Japan.